I hate logos. I really do. It’s the main reason I opted out of going to college for graphic design. I really, really didn’t want a career that required me to sit in a cubicle and make logos for businesses all day. Fortunately, even though graphic design is a big part of my career now, I don’t have to make boring logos all day. Nor do I have to sit in a cubicle. But I think the reason that people struggle with logos is the font. I also think the reason why bloggers struggle with social media design is that it’s the blogger-equivalent to logos. You need that eye-catching (but not overwhelming) font design on each image. 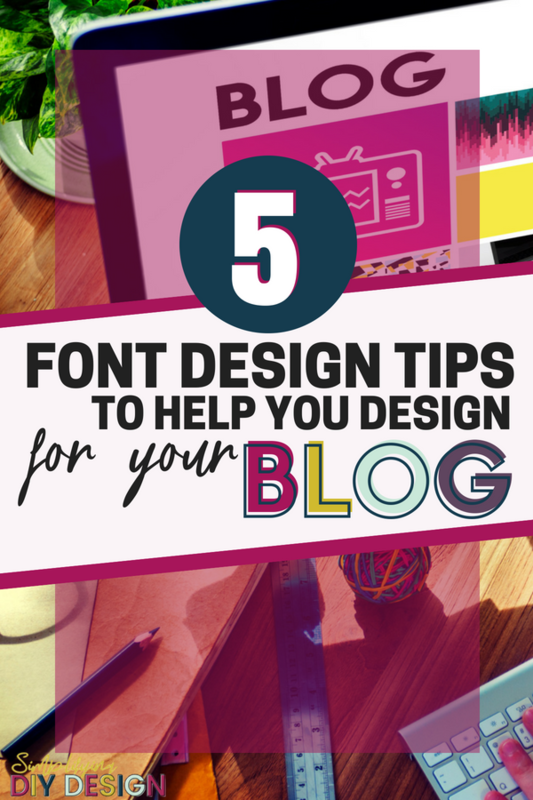 So whether you are working on your logo or working on your social media designs, hopefully, these tips can help! Side note: I have a really helpful cheatsheet at the bottom of this post, so keep an eye out for it- it’s a must-have for your blogging binder!! Of course, there are exceptions to this rule but the gist of it is that script fonts pair best with sans-serif fonts. I think the reason being that script is fairly “complicated” to the eye and sans-serif is on the simpler side, so they compliment each other well. Two different scripts should never be used in the same design. It’s way too overwhelming and can be hard for the eye to read. I’d say in an average design, I use up to 3 fonts. Two different fonts in the header and (maybe) a separate font for body text. In my Pinterest images, I still use 3. Generally, I use a san serif font, a bold/large font, and a script font. This is where my cheatsheet comes into play! I’ve literally talked to people who have spent hours trying to mix the right fonts. This is a good example of bad ROI (return on investment). But I get it, and I’ve totally been there. SO, having a little cheatsheet as a quick reference can be a total lifesaver. The cheatsheet I put together is specifically Canva fonts so you don’t have to worry about paid ones. If you have a paid (brand specific) font, look on the cheatsheet and try to find one that looks similar so you can see what pairs well. Investing in a brand-specific font can be a big game changer. I’m not one to get obsessively “brand-y” in all of my designs, but I do think that it provides consistency in your products and also saves you time from having to come up with something totally different each time. I also think it benefits you to have a brand specific font in your social media images. Not only will people start to think of you and your business when they see your pins (and your font) but it will also help your designs stand out among a very overly saturated social media platform. Pssst! Use our FREE brand board template to add in all of your brand’s fonts, colors, and logos so you can see if they play well together! There is an argument as well for Pinterest putting images with unique images and fonts in front of more eyes. I think this is mostly because so many people are using the same images and fonts (you know, because they’re free) that Pinterest gets them confused and thinks it’s duplicate content. My favorite place to get signature fonts is Font Bundles and Creative Market— they sometimes have free signature fonts or font bundles that give you a TON of fonts for a low, low price. Here’s an extra tip. I think most people would be amazed at how many text boxes I actually have in a design (even my pins). I actually have a different text box for every line and every font; with the exception of long bodies of text, like in a workbook. The benefit of this being that I can put my lines of text close together, line them up in unique ways, and I can have “accent” words that are in different fonts. I personally think this brings your overall design to the next level and helps it stand out in the crowd. Check out our video tutorial on how to really easily create font that stands out with these super simple techniques. You can also pretty easily create textured font in Canva (think glitters or metallic gold! ): watch that tutorial here. It simply takes practice, and as a blogger, you will get plenty of that! Start with these simple tips, print off my cheatsheet and put it in your blogging binder. Then, start practicing. Once you get the hang of font design, it’s pretty fun to play around with it! 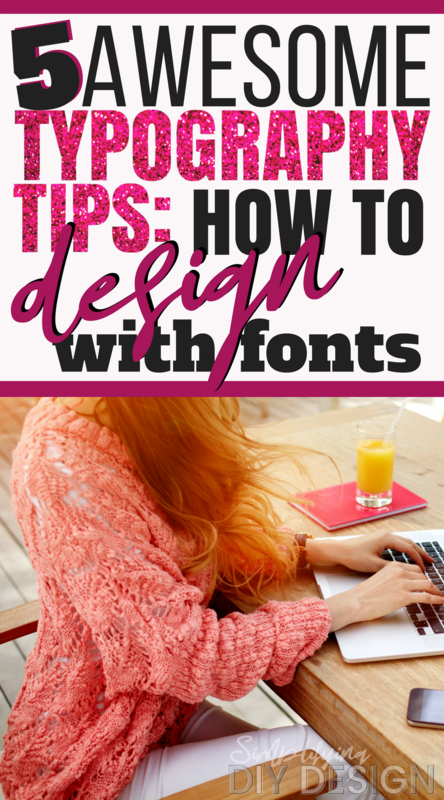 Learn how to incorporate your new, beautiful fonts into your graphics by rocking the basics of Canva! 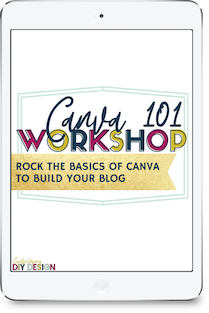 Want even more awesome Canva tips and tricks? 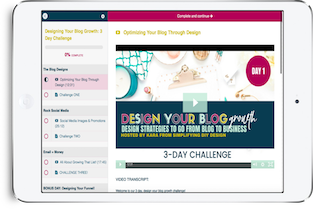 Check out how to create the perfect printable to skyrocket your blogging income! GET OUR FREE FONT PAIRINGS CHEATSHEET NOW! 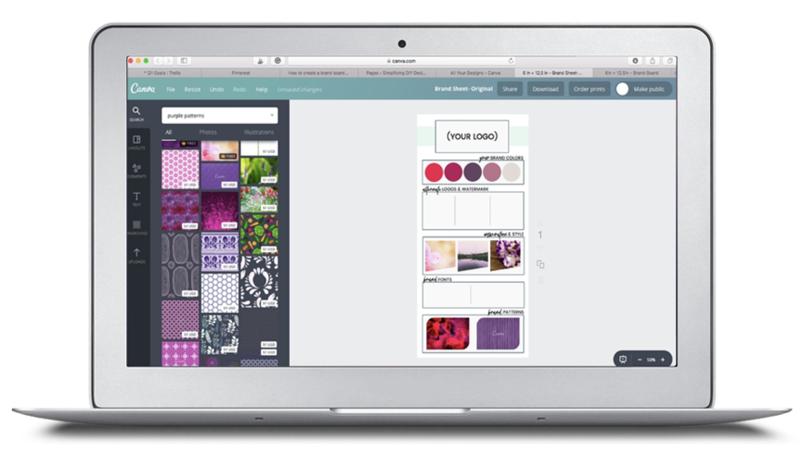 Just fill out the form below and get our FREE cheatsheet along with all of our FREE templates, tutorials, and design tools! This cheatsheet is available in our FREE Design Library! Just fill out the form to get access! 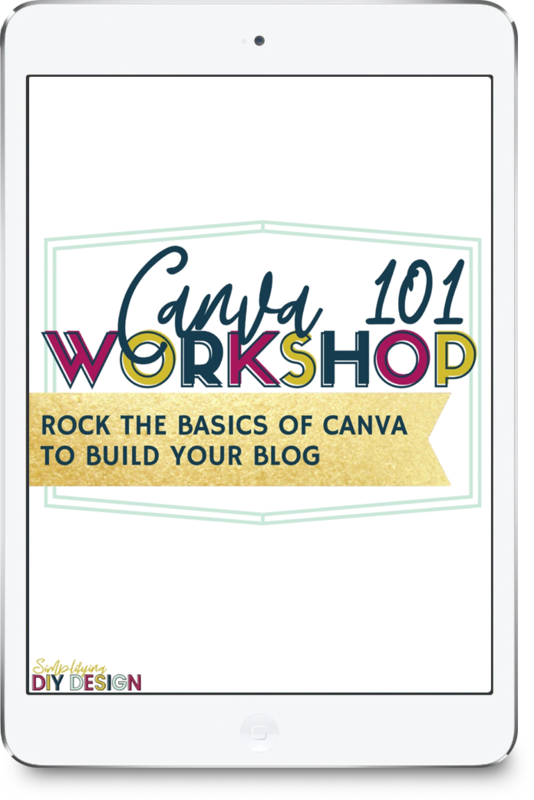 Sign up for our email list and you'll get instant access to this cheat sheet, PLUS you will also get access to all of our free canva templates and design tutorials as well! 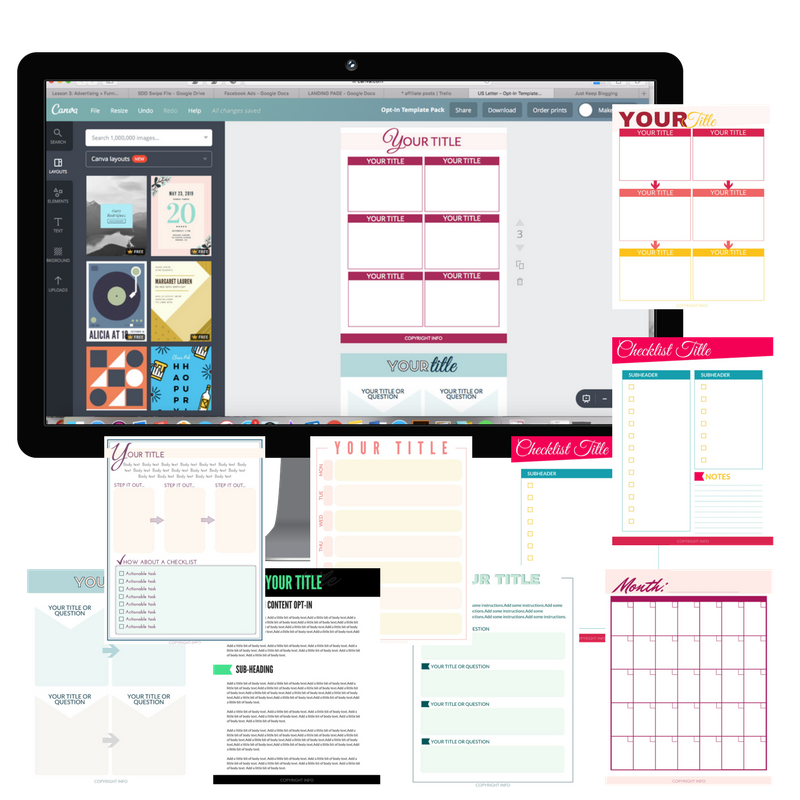 Create a brand that reflects you and your business in minutes with this done-for-you canva template! 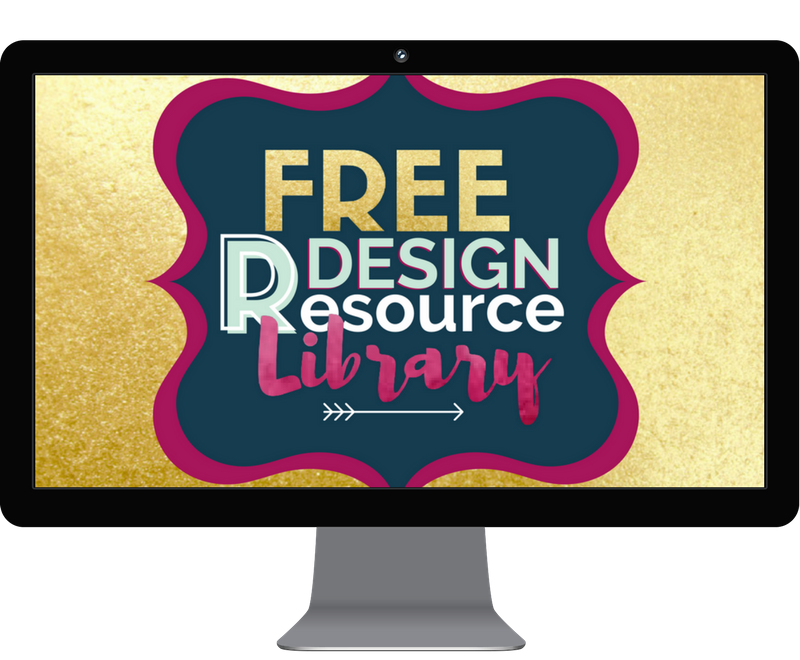 access to our Resource Library where this template is located! Yes, I want to define my brand!